e.l.f. Cosmetics has returned to UK shores and launched on Superdrug, which is great news, as we need more budget friendly makeup options in the UK. The collection is very vast and contains foundations, primers, concealers, lipsticks, lip glosses, lip scrubs, eye shadows, eye liners, blushes - you name it and you can get it from e.l.f. I received the Studio Matte Lip Colour in the shade Rich Red to test out. Even though I am not massively into to red lipstick, I actually really like this shade. 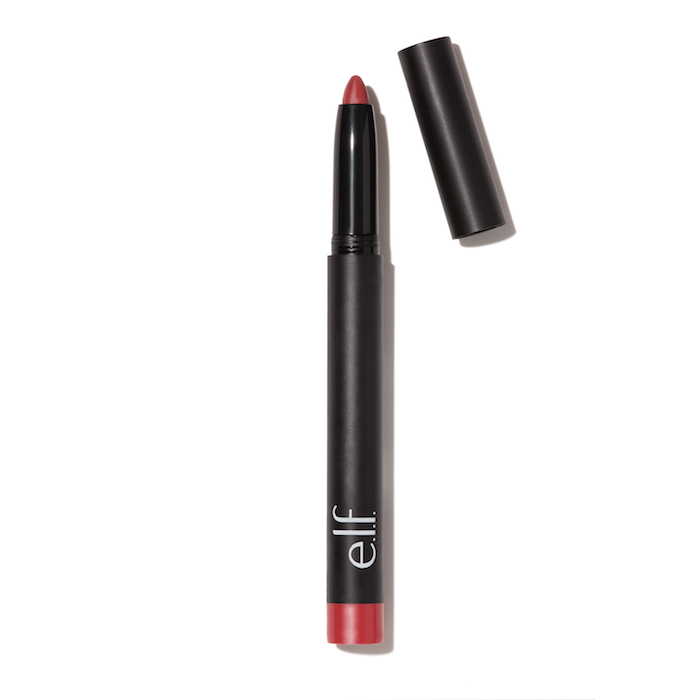 It’s a cool toned deep red that’s housed in a black twist up tube, which makes It’s really easy to apply, with the classic e.l.f. logo along the side and a colour coded tip at the bottom so you know what shade it is. I found this was not at all drying and stayed put well through drinks and dinner, although a touch-up was required after to keep it looking pristine. I cannot find this on Superdrug’s website, and there are only 4 colours available on Elf’s website and Rich Red is not one of them. But if you can get your hands on a shade that suits, these are very easy wearing, and easy to apply due to the twist up pencil shade, and at £4.50 it’s purse friendly too.